The Case Management Society of America (CMSA) — the world’s largest case management member organization — will host its 2018 Annual Conference & Expo on June 19 - 23 at McCormick Place in downtown Chicago. The conference will focus on supporting the unique health needs of individual patients and families. At the most highly attended and exhibited Case Management Educational Conference, health care professionals will benefit from a thought-provoking mix of education sessions, keynote addresses, and networking to advance the dialogue around the conference topic: "We are Case Management." "Your Best Life" by Travis Stork, MD, Emmy-nominated host of the award-winning talk show The Doctors, and a board-certified emergency medicine physician. Dr. Stork is a New York Times #1 best-selling author of The Doctor’s Diet, The Doctor’s Diet Cookbook, The Lean Belly Prescription and The Doctor Is In: A 7-Step Prescription for Optimal Wellness. "Making an Impact" by Dr. Rick Rigsby, President and CEO of Rick Rigsby Communications and former award-winning journalist, who followed a television news career with six years of graduate school. Friend or Foe: Are You an Age-Friendly Healthcare Organization? CMSA will also offer extend the opportunity to earn up to 38 Continuing Education (CE) credits, and keep skills sharp in the face of an evolving professional landscape. Amramp will be on-site in the Exhibitor Hall, showcasing showcasing breakthrough products to improve patient experience and support the work of case managers across the county. Enjoy this dynamic conference line-up, and we look forward to seeing you at our exhibitor booth! 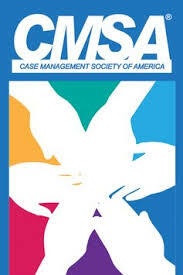 The Case Management Society of America's (CMSA) 26th Annual Conference and Expo will be held on June 21-23 in Long Beach, California. The CMSA Conference and Expo celebrates growth in healthcare with networking and educational opportunities. The three-dayevent aims to empower attendees to create their most evolved case management practices. Valorie Burton, bestselling author, speaker, and life coach, "Resilient and Ready: How to Thrive through Challenge and Change." Dr. Eric Coleman, founder of Coleman Transitions Intervention, "Leadership and Coordination beyond the Hospital to the Community." Dr. Josh Luke Fache, executive faculty at University of Southern California, "Leadership and Coordination beyond the Hospital to the Community." Robert Priest, mind reader extraordinaire, "Mind Scripting." Information on how to receive credit can be found on the conference website. These credits are eligible for organizations such as Certification of Disability Management Specialist (CDMS), Certified Rehabilitation Registered Nurse (CRRN), and Commission for Case Manager Certification (CCMC). Amramp greatly looks forward to exhibiting at the 2016 CMSA Conference and Expo to demonstrate our latest accessibility products and advances in accessibility products for eldercare and life transitions at all mobility levels. We hope to see you in Long Beach - Booth 340! Wheelchair manufacturer and installer Amramp offers innovative accessibility products, including the ADA –compliant, patented modular ramp system. On-site estimates are free and installation is generally within days, often within 24 hours. For more about Amramp’s wheelchair ramp and aging-in-place products and services, or free on-site estimates, please contact Amramp’s National Customer Service Center at 888-715-7598. Come see Amramp in New Orleans, at the 23rd Annual Case Managers Conference! Amramp is hitting the Big Easy this June! We are looking forward to jazz and sampling some authentic Cajun food while we showcase our latest accessibility products and introduce our services and solutions to more than 2,400 case managers and other healthcare professionals at the 23rd annual Case Management Society of America (CMSA) Conference and Expo, to be held June 25–28 in New Orleans, Louisiana. Amramp offers high-quality, cutting-edge mobility solutions to its customers at affordable prices, so case workers will often use or recommend our products and services to their clients. The CMSA Conference and Expo is unique in that it is the only healthcare event of its kind designed specifically for case management professionals. As an expo participant, Amramp will have the opportunity to meet and discuss options with thousands of case managers who will use or recommend Amramp’s mobility solutions to provide their patients with limited mobility with the best care available. Expo attendees are diverse in terms of their years of experience in clinical practice, as well as their disciplines, including physicians, nurses, social workers, pharmacists, behavioral health practitioners, and other patient advocates. Along with the expo, the conference will feature an annual meeting, awards ceremony, symposiums, daily group sessions, keynote speakers, and more. Daily sessions will cover topics like industry trends and best practices, the impacts of recent changes in legislation, and topics like science, spirit, and culture. There will also be certification preparatory courses and other sessions for earning continuing education credits. If you are planning to attend the CMSA conference in New Orleans this June, please stop booth 546 and say hi to Barbara Gayton, Amramp Corporate Director of Marketing and Bill Freshwater, owner of the local Amramp Baton Rouge franchise. We look forward to seeing you there!